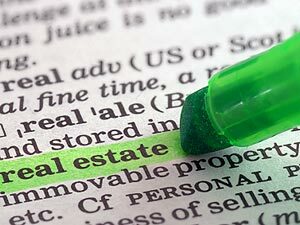 When selling a home you should familiarize yourself with these common real estate terms. Throughout the home selling process Christine Smith an experienced Collingwood Real Estate Agent will be available to explain any unfamiliar terms you encounter. That being said here is a short list of terms you will want to familiarize yourself with. Comparative Market Analysis (CMA) – A REALTOR®-prepared document, typically included in a listing presentation to a prospective seller, designed to help the seller set a strategic asking price for their home. Drawn from the local Multiple Listings Service (MLS), a CMA presents pricing and property information for homes similar to the seller's that recently sold, failed to sell, or are currently on the market. Free Market Evaluation – An offer by a REALTOR®, usually presented in marketing materials, to provide a complimentary assessment of your home's current market value. Listing Presentation – A presentation given by a REALTOR® to a prospective home seller in hopes that the seller will allow the REALTOR® to represent their interests throughout the sales process. Typically delivered in the seller's home, the presentation includes the REALTOR'S® pricing, marketing and showing strategies, as well as a suggested asking price. Need help with additional home selling terms? Contact Christine Smith by email or call (705) 888-0201 to learn more about what she can do for you!